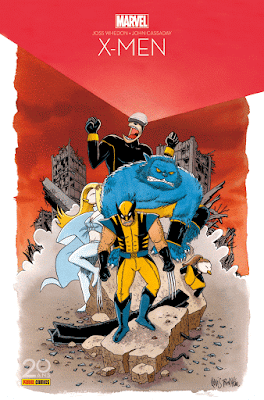 Panini Comics, the French publisher of Marvel, have hired an array of French cartoonists to whip up some covers as part of their 20th anniversary celebration. Most of these are rather ho-hum, but the Sfar, Trondheim, and to a lesser extent, Lauffray efforts stand out. For me, those are the ones that have personality and retain the sensibility of what makes the artists work unique. Sfar expressed his interest on Twitter in doing a full issue of Punisher, which would be quite the thing to see. Philippa Rice has signed a new book deal with Andrews McMeel for Sister BFF'S, 'the humorous tales of two twenty-something sisters helping each other navigate life’s stressful moments—from job searches to encounters with former crushes—even though they get on each other’s nerves quite a lot.' Like Rice's previous book, Soppy, Sisters also originated as a self-published mini-comic before being expanded and sold; you can view some of the strips here. Rice is a multi-faceted artist who works in a number of mediums, so it's nice to see more of her always-appealing comics. Top Shelf have announced Home Time, the debut work from Australian cartoonist Campbell Whyte, a 228 page hardback that will release this June. It follows 6 friends ready to embark on their final fun-filled summer holiday before starting high school, who fall into a river and are plunged into a new and strange world. I like that excellent cover a lot, and I'd recommend checking out the 7 page preview; each chapter in the book will be illustrated in a different visual style, and this gives you an indication of what to expect. I hope the accompanying narrative is strong enough to support that choice, and not leave it coming off gimmick-y. Fantagraphics will be publishing Sophie Goldstein's 3-part (previously self-published) comic, House of Women, later this year. 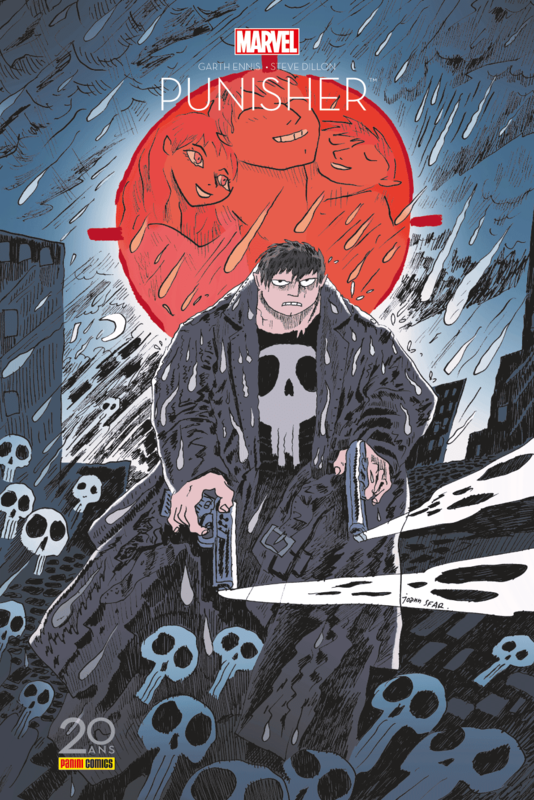 Goldstein's last book was 2015's well-received The Oven, with AdHouse. Goldstein describes the Ignatz-winning House of Women as 'science fiction meets psycho-sexual drama when a group of women try to bring "civilization" to the natives of a remote planet on the fringes of the known universe.' 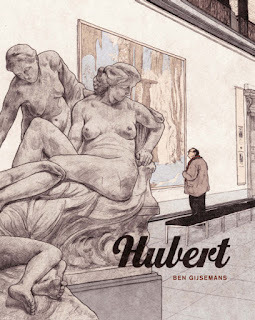 As a long-standing fan of Goldstein's comics, a new book with a publisher who will hopefully push it to a wider audience, is a good thing. 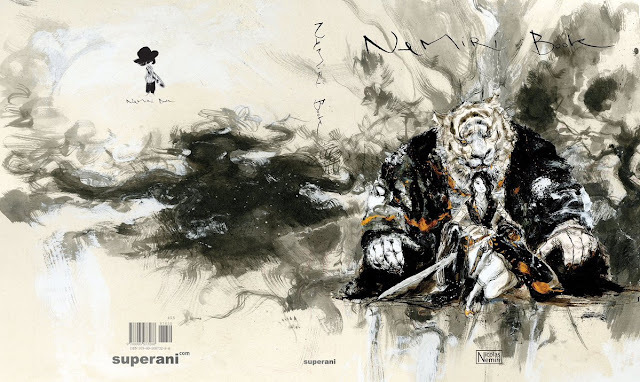 It looks like we'll be getting a Nicolas Nemiri artbook from Kim Jung Gi's studio, Super Ani, soon. As far as I'm aware, none of Nemiri's comics work has been translated into English, and an art-book will satisfy both fans and newcomers.That cover looks wonderful. Dark Horse have announced a hardback art-book for Patrick McHale's acclaimed Over the Garden Wall cartoon series, due for release this September. 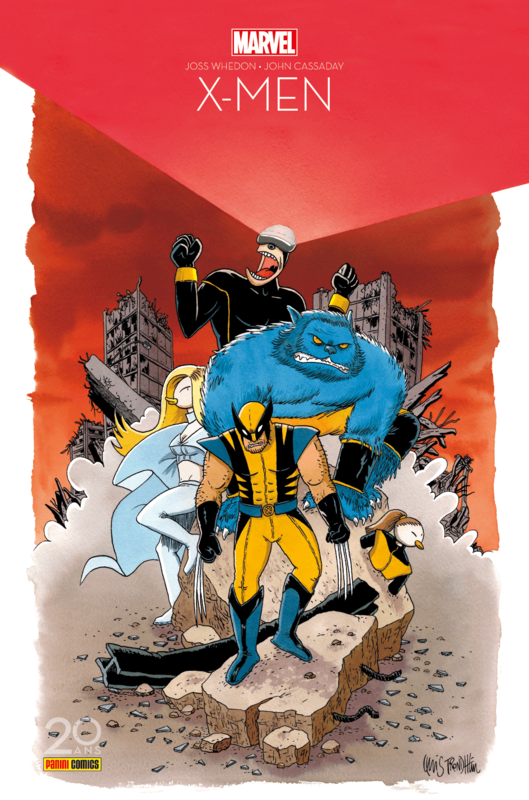 The book will contain sketches, development and production art, paintings, anecdotes and more, and will be written by Paste editor Sean Edgar, with contributions from McHale. ELCAF have unveiled their 2017 festival poster, designed by French design duo Icinori, aka Mayumi Otero and Raphael Urwiller, who will also serve as the artists in residence this year. An initial guest announcement includes Sarah Glidden, Bianca Bagnarelli, Antoine Cosse, and more. Exceptionally excited for ELCAF this year, as it will be the very fist festival at which I'll be tabling. Onto comics that have been floating around the web: Dav Yendler's 'My Bod' struck a chord, and the use of Facebook albums as a flip-book, page turner is interesting. I don't think I've seen that before. Nicole Miles' 'Formation of a Caribbean Illustrator' addresses a question she's commonly asked about drawing black people. The section of 'Everything is hard to draw at first' here is just beautiful; the horses, bikes, and then the portraits of black people, all sketchy at first and then becoming clearer, sharper, elucidate as much as her words. I saw Joe Decie bring these anonymous Brothel Girl comics to Brandon Graham's attention so I'm passing along the tip: they're great- the inking and style is lovely. Jem Yoshioka on the concept of home and belonging. Shannon Wright tells The Story of Bessie Coleman. Sam Alden's serialising a new comic over at Hazlitt. It's called Sledgehammer and is two instalments in. I'm really enjoying that one so far. There's been a few months gap between part 1, which was published last year, and part 2, so one to bookmark or add to your feed. A Valentine's Day comic from Val Gallardo, called Hetronormative Romantic Movie: a script. Luke Healy on the passing of his grandfather while he was hiking the Pacific Crest Trail, over 5000 miles away from home in Ireland. Sarah W Searle talks about The Price of Acceptance over at The Nib, and then discusses the new comic she's working on with The AV Club. Boulet has a 40-step method for overcoming writer's block. Shing Yin Khor on an identity that's tightly interwoven with productivty, and how depression affects that. As someone who struggles to separate 'work' productivity from self-worth, lots of this hit home. Tomer Hanuka created a one-off Akira print piece, and it is a thing of extreme beauty. 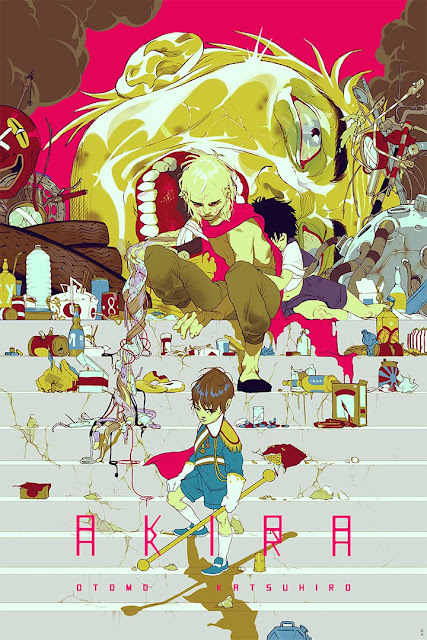 Speaking of Akira, Kodansha are releasing a hardback box-set series of the complete comic (and the later-published Akira Club art-book) in celebration of the 35th anniversary of Katsuhiro Otomo's seminal manga, which will be published in the traditional Japanese right-to-left reading orientation for first time. That's due in shops in October later this year. Staying with Otomo, you may recall he was subject of a tribute exhibition at Angouleme in 2016 after winning the Grand Prix, with various artists enlisted to create pieces that paid homage to his comic work. Despite boasting talent such as Stan Sakai and Jiro Taniguchi, most of the pieces I saw were rather insipid and uninspired, focusing on Kaneda and his red motorbike. It's an undeniably iconic image, but are 60 or so versions of it needed? Anyhow, Kodansha are publishing the collected pieces as a hardback Otomo-tribute book, and it'll be available later this month. Over at TCJ, Joe McCulloch's been doing God's work breaking down the most interesting pieces within it. Manndy Wykens is consistently excellent, but these new project designs are especially good. I'm not sure how many people still have RSS feeds or something similar, but Marian Churchland is regularly updating her website (I believe weekly, at least) with art and written posts. It's a must-visit for me, combining as it does a number of my favourite things: food, clothes, and *illustrated lists*. Even if that's not your area, her style alone is lovely to behold. This John Wick 2 poster by Denys Cowan, with inks by Bill Sienkiewicz and colours by Elizabeth Breitweiser is, as they say, the business. Also, do yourself a favour and go watch John Wick 2. Molly Fairhurst's draws a lot of tigers as part of her dissertation. I imagine these have done the rounds thoroughly, but I hadn't seen them, so perhaps you haven't either: George Caltsoudas illustrated title posters for every Batman Animated Series episode.